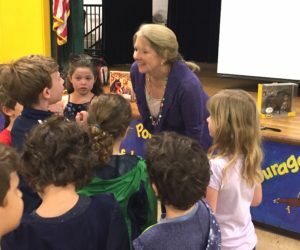 Think School Visits Only Help the Students? Think Again! As I sit in my dining room on this cold and rainy Saturday, I am reflecting on the thirty-four schools that I have visited since mid-September. Yes, thirty four! Tomorrow, I leave for a full week of school visits in Houston, and more schools are on my calendar after that, so the number is rising. 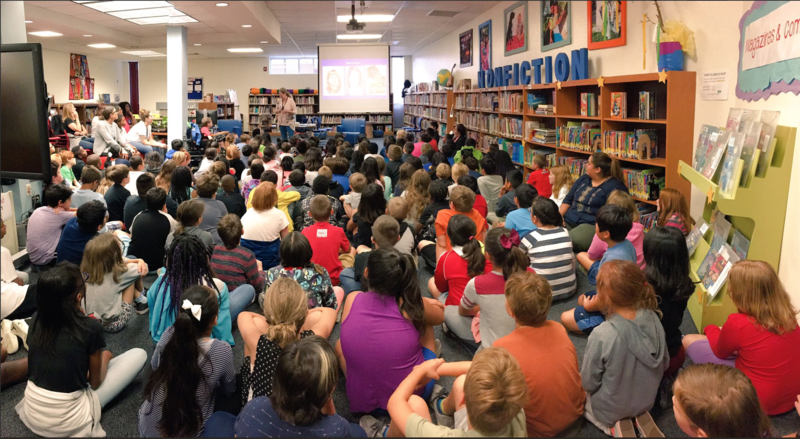 I owe so much to the Texas Bluebonnet Award nomination, and the nomination to other state award lists, too. They are lovely accolades for Step Right Up, but the award nods have also provided these glorious opportunities to talk to young readers. Special thanks to Texas Library Association! I have been honored by each school invitation and humbled by the dedication I have witnessed in the real rockstars—librarians, administrators, and educators. If you are among those noble professions, thank you! 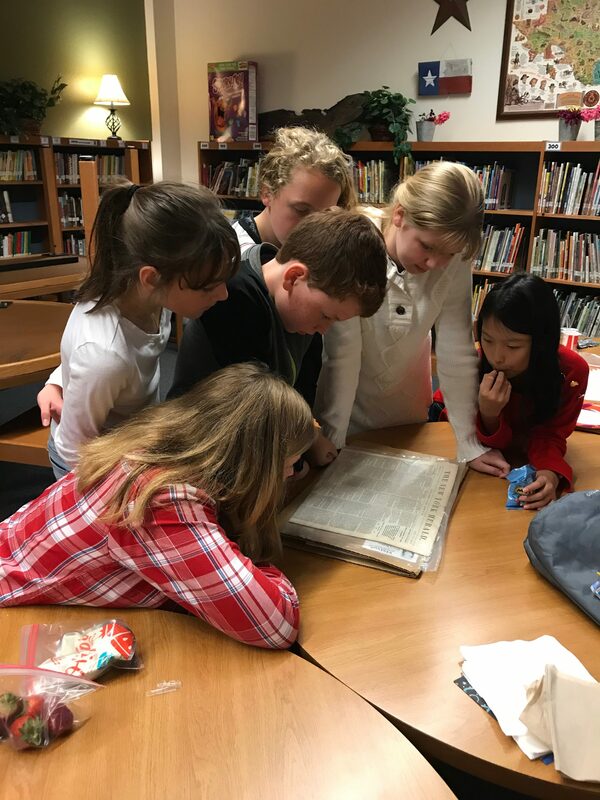 Truth be known, the flurry of 2018-19 school visits has changed me in profound ways. Some kids have challenges. Some kids are challenging. But every kid deserves the best that we can offer. When I stand before them, I feel the responsibility deeply. We all know that books can offer windows and mirrors for young readers. And, for those readers who haven’t yet fallen in love with books, meeting a real author who failed many times before any success—one who is as flawed and human as everybody else— can be enlightening. 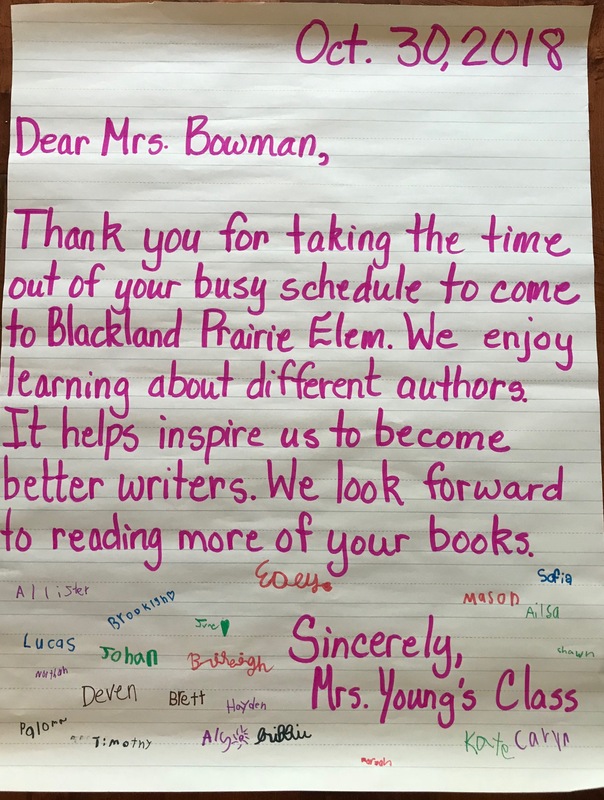 And, as some studies suggest, author visits inspire kids to read and write more. 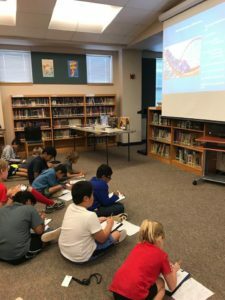 During this Bluebonnet season with Step Right Up, while I share my personal connection to Doc and Jim’s story, and as I share my writing, research, and revision process, the kindness theme takes center stage. I offer a bit about Abraham Lincoln’s Dueling Words, too, which is all about Honest Abe’s big mistake—political mudslinging that almost cost him his life—and how the lesson he learned from the resulting duel taught him to be a better man. It’s a story about learning from our mistakes and about the power of words. It’s a story about character—kissing cousin to kindness. Authors often subconsciously gravitate toward stories with particular social issues. I didn’t set out to be a kindness author, but I’m awfully grateful these days that I have two books that offer a bit of light when darkness creeps into our internal or external worlds. During these exceptionally divisive and volatile times, I think it’s important that adults offer EVERY child a sense of hope, a sense of potential, a promise that, though we don’t always have a choice about where we live or the stuff we own, we all have a choice about HOW we treat others. 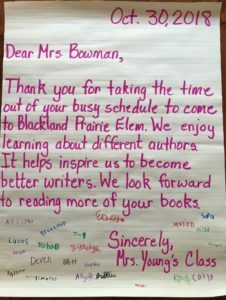 As authors, we have a responsibility to every one of these kids and to the adults who dedicate their careers to nurturing and educating them. Perusing an 1859 newspaper. Research can be cool! It is a special honor when I witness the seemingly-least-likely kid in the room find a spark of magic in their own imaginings. I see it in the wide eyes, hands in the air in response to a question, the random hug by the child who thanks me for writing a book about kindness. I saw it last week when a third grade boy stopped me in the hall of his school and said, “I’m writing a story about you today.” He was that kid, y’all. You know the one—the kid often thought of as a problem. He gets it, this kindness thing. And, maybe, just maybe, he gets the reading and writing thing a little bit more today, too. If I transferred a little word wonder to him, well, my work here is done. And I am a better person for it. If you are a library or education rock star, thank you, thank you, thank you for all you do to inspire, nurture, and educate OUR kids ! What would we do without you? 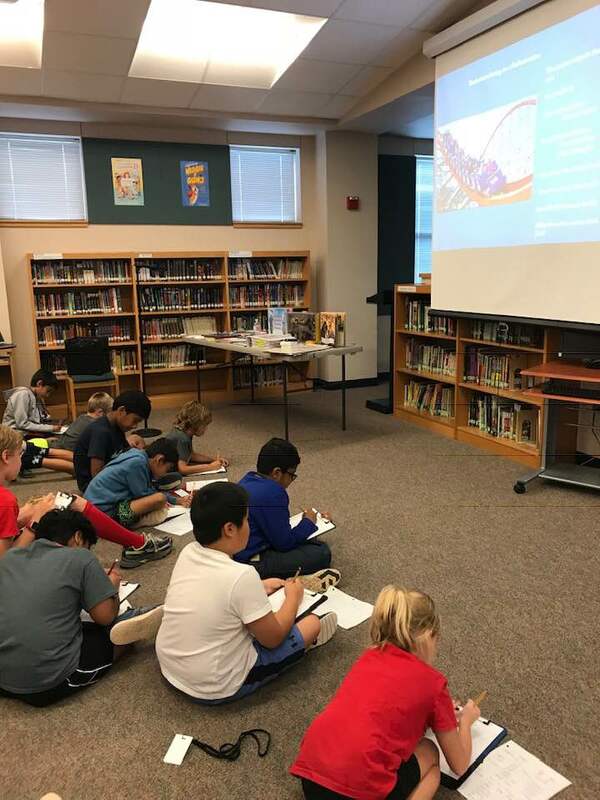 If you are an author or illustrator colleague, keep sharing your passion for young readers and the books that can inspire them. What we do matters! 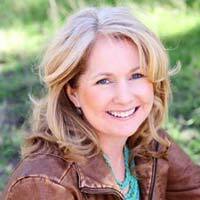 For more information about my presentations and writing workshops, click here or contact me. I would be happy to travel to anywhere in the United States and beyond. 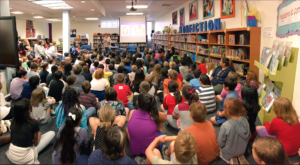 If I’m not quite what you’re looking for, please reach out to another author about visiting your school or library. We’re all in it for the kids. « Thanks for Making 2017-18 a Great School Visit Year! Oh Donna, I love this!!! I’m so glad you’re sharing your wonderful books with so many children! Thanks for all that you do for kids! You are incredible!